As I’m moving around in two places, I’ve went to visit Waterstone’s with my bro in search of his text books. But I was drawn into the Manga section to see what collection they still had from last visits. 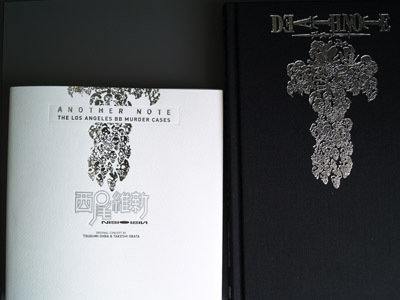 Besides Manga, my bro found Death Note: Another Note laying besides the manga shelf. 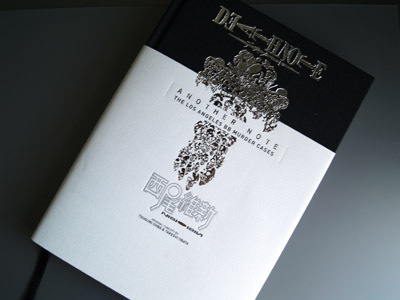 A light novel on a nice decorated hard cover. Black with silver embossed illustration of a cross made of skulls. It had a white cover too, labeling the title of the book. Very Death Note like and I knew I had to get it. 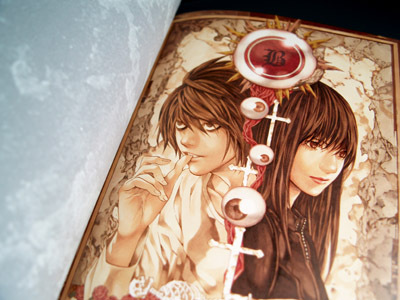 Illustration of L and Misora, very nice. People, read more books! they’re really good to feed your imaginations! 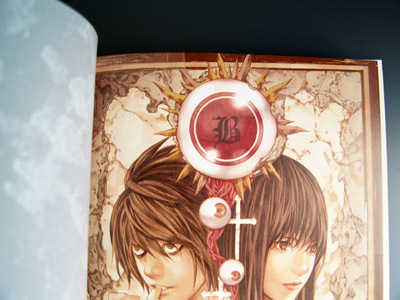 Awesome illustrations from Death Note. “L.B”, some kind of a hint?